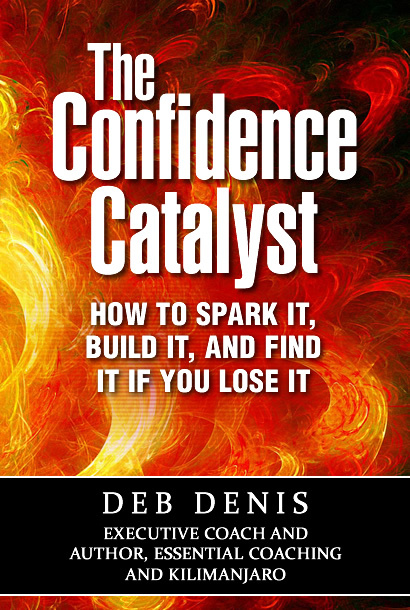 The Confidence Catalyst is a new book by Executive Coach and Confidence Catalyst herself, Deb Denis. Men and women working with Deb tell her that one of the most impactful results of their work in coaching is the increased confidence they experience. Learn from the experiences of these real-life leaders, hear how to implement the strategies that have worked for them to spark confidence first in themselves and then in others. Discover the techniques and try the tools for yourself. Be inspired by stories of challenges overcome and successful results. In The Confidence Catalyst you will find out how to become a Confidence Catalyst for yourself and for others. Look for the book in 2017, by Marion Grace Publishing.